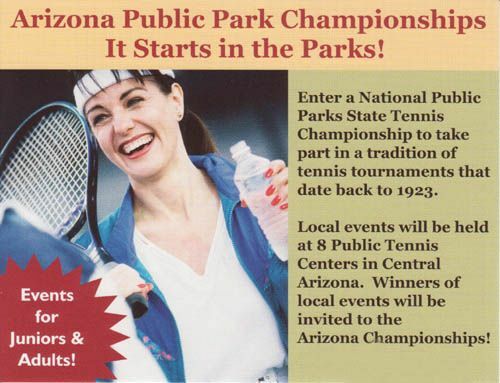 Arizona Public Park Championships - It Starts in the Parks! This event is for players with little of no tennis tournament experience and is a great opportunity to test your tennis skills against players of simlilar ability. Divisions are held for both juniors and adults and the cost is only $15 for singles or $10 per player for doubles. All players are guaranteed at least two matches!